Guide for playing Poker Heat how to get more of it and advance to the next leagues. The information here might change soon as playtika implements it's reward system and improve the game. Most of the content here came from the support site and summarized for you for easy reading. This game is all about competing in the league and reach the top rank as you can. There are 7 leagues in Poker Heat. The lowest league is the Amateur League and the highest is the World Class League. As you move up, the competition becomes more intense while also earning more game benefits. Each league in Poker Heat is broken into sub-leagues of 50 players each. You will compete against this sub-league during the league period. Each league gives you better benefits in Poker Heat. This benefit multiplier will raise your special bonus and chips store packages value. 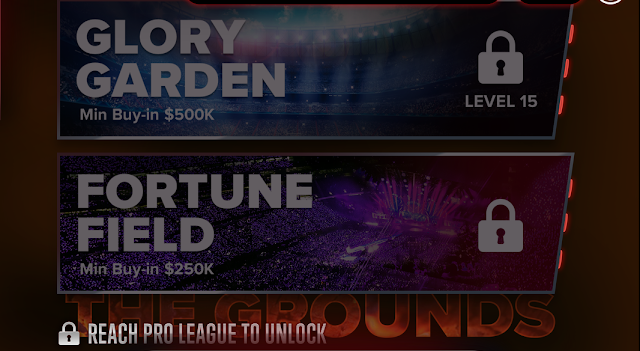 On top of these benefits, each league starts will a different base prize pool. The Hands of Gold promotion will reward players who play the most amount of hands in their league during the promotion period. All bonuses will be provided up to three days after the promotion has concluded. The King of the Hill promotion in Poker Heat will reward all players who capture first place in their Sub-league during the promotion period. If you are in first place when the promotion beginnings, you must be knocked off your spot and reclaim first place during the promotion period to claim the prize. Once first place is captured, please go to the lobby to claim your prize. The Bonus Boost promotion in Poker Heat will double the base amount for your special bonus during the promotion period. 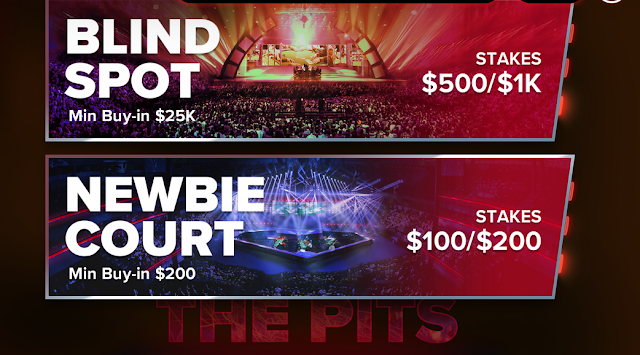 The Chips Giveaway promotion in Poker Heat will provide a bonus to 3 players who make a purchase during the promotion period. The winners will be determined by a raffle, the more purchases you make the better chance you will have at winning the bonus. The bonus will be provided up to three days after the promotion has concluded. If you do not make a purchase during the promotion period, you will not be eligible for the raffle. The Double XP promotion in Poker Heat will provide all players with Double XP at the tables during the promotion period. The Turbo Time promotion in Poker Heat will cut your wait time for the special bonus from 4 hours to 2 hours during the promotion period. The Level Boom promotion in Poker Heat will double your level up bonus for every other level during the promotion period. The promotion will either be for even or odd levels so be aware of the promotion terms. The League Status Boost promotion in Poker Heat will provide you with the league benefits of the league directly above you during the promotion period. This will improve your special bonus and chips store packages value. If you are in the top league, you will have 100% MORE value on your league benefits. The Level Blast promotion in Poker Heat will provide you with 5x your level up bonus for levels ending with a certain number during the promotion period. The end number of the level will be chosen at random so be aware of the promotion terms. There are currently 9 different types of tables in Poker Heat. These tables are split in 3 zones with 3 tables in them. Each table has different stakes and minimum buy-in amounts. In order to unlock a table, you must reach the stated level. There are 9 tables in Poker Heat which are split into 3 zones. In order to access a zone, you must have reach the stated league. Once you have reached that league, the zone will unlock and remain unlocked even if you are relegated. If you play on mobile. You can synchronize your game progress to other device by logging-in using your Facebook Account this will keep your progress and balance equally on all platforms. 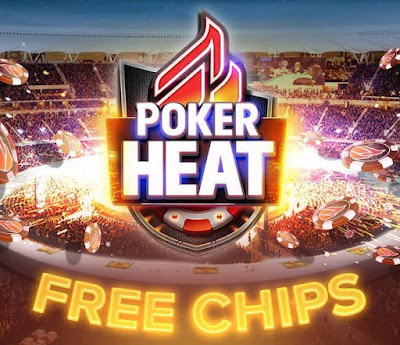 Get Free Chips from Email - When you login using Facebook and allowed the game to get your email address you are automatically subscribed to Poker Heat Email Promotions. Add "[email protected]" email address to your contact list to make sure you that the emails will not be blocked or moved to your junk folder. Most of the time the emails contain a Free Chips link which you can collect and use in the game. Follow and Like the Poker Heat Fan Page and use the "see first option" to get the latest free chips. If you cannot play daily use the Poker Heat Daily Free Chips Collector page to check if you have missed any bonus. It is updated daily and creates a summary of all free chips from Poker Heat. Most of the free chips are only good for 3-4 days before it expires. How do people enter tables with less than everyone else when they have millions?